In Germany in 1952, she was the central government’s senior expert for fats and pharmaceutical drugs. She’s considered one of the world's leading authorities on fats and oils. Her research has shown the tremendous effects that commercially processed fats and oils have in destroying cell membranes and lowering the voltage in the cells of our bodies, which then result in chronic and terminal disease. What we have forgotten is that we are body electric. he cells of our body fire electrically. They have a nucleus in the center of the cell which is positively charged, and the cell membrane, which is the outer lining of the cell, is negatively charged. We are all aware of how fats clog up our veins and arteries and are the leading cause of heart attacks, but we never looked beyond the end of our noses to see how these very dangerous fats and oils are affecting the overall health of our minds and bodies at the cellular level. The fats' ability to associate with protein and thereby to achieve water solubility in the fluids of the living body is destroyed. As Dr. Budwig put it, “the battery is dead because the electrons in these fats and oils recharge it.” When the electrons are destroyed the fats are no longer active and cannot flow into the capillaries and through the fine capillary networks. This is when circulation problems arise. Without the proper metabolism of fats in our bodies, every vital function and every organ is affected. This includes the generation of new life and new cells. Our bodies produce over 500 million new cells daily. Dr. Budwig points out that in growing new cells, there is a polarity between the electrically positive nucleus and the electrically negative cell membrane with its high unsaturated fatty acids. During cell division, the cell, and new daughter cell must contain enough electron-rich fatty acids in the cell's surface area to divide off completely from the old cell. When this process is interrupted the body begins to die. In essence, these commercially processed fats and oils are shutting down the electrical field of the cells allowing chronic and terminal diseases to take hold of our bodies. I found testimonials of people from around the world who had been diagnosed with terminal cancer (all types of cancer), sent home to die and were now living healthy, normal lives. 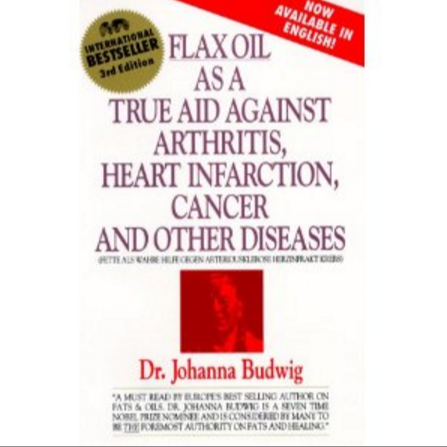 Not only had Dr. Budwig been using her protocol for treating cancer in Europe, but she also treated other chronic diseases such as arthritis, heart infarction, irregular heart beat, psoriasis, eczema (other skin diseases), immune deficiency syndromes (Multiple Sclerosis and other autoimmune diseases), diabetes, lungs (respiratory conditions), stomach ulcers, liver, prostate, strokes, brain tumors, brain (strengthens activity), arteriosclerosis and other chronic diseases. Dr. Budwig’s protocol proved successful where orthodox traditional medicine was failing. Since Dr. Budwig mentioned the strengthening of the brain, I believe not only Multiple Sclerosis, but also ALS “Lou Gehrig’s Disease”, Parkinson’s disease, and Alzheimer’s disease could also be significantly impacted with her protocol. I also believe that this protocol could have the greatest impact early into the disease, and could very possibly reverse these diseases entirely. Dr. Budwig states, “A Swede has proved that (no brain function) can take place at all without three-fold unsaturated fats. 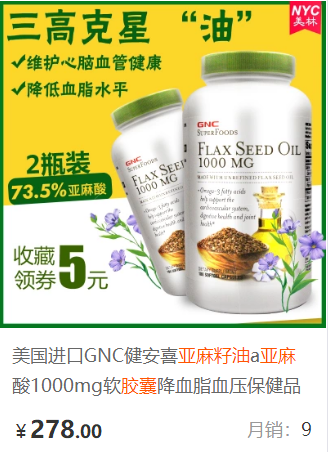 Without any doubt, every function of the brain―and this has been scientifically proven�Cneeds the very easy activation effect of three-fold unsaturated fats. She pointed out that many patients could not urinate, produce bowel movements, or when coughing were unable to bring up the mucous, but once the protocol was initiated this started reactivation of the vital functions and the patients immediately began feeling better. 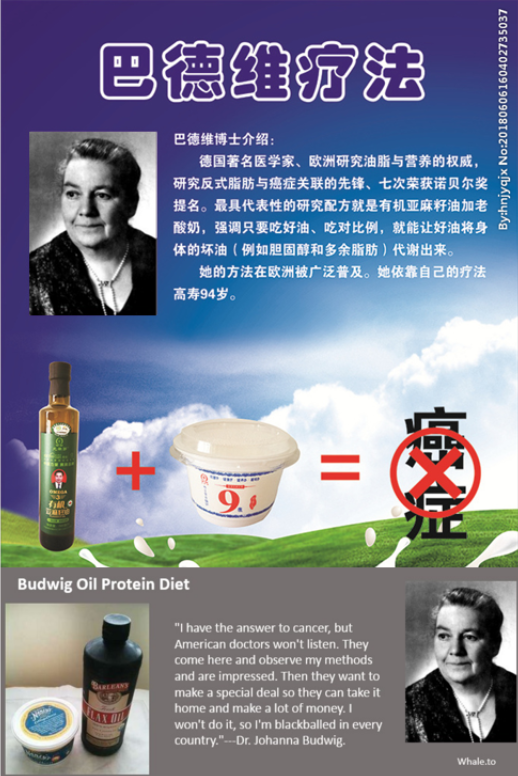 The Budwig diet appears to allow cancer cells to start breathing again. She pointed out that the sun is an inexhaustible source of energy and an element of life that affects the vital functions of the body. This, in part, is due to the photons in sunlight which are the purest form of energy, the purest wave, and in continual movement. Dr. Budwig states, “electrons are already a constituent of matter, even though they are also in continual movement and that electrons love photons, attracting each other due to their magnetic fields. There is nothing else on earth with a higher concentration of photons of the sun’s energy than man. This concentration of the sun’s energy ― very much an iso-energetic point for humans, with their eminently suitable wavelengths ― is improved when we eat food which has electrons which in turn attract the electromagnetic waves of sunbeams, of photons. The mixing ratio is two tablespoons of cottage cheese to one tablespoon of oil. Mix only the amount you are consuming at one time so it is mixed fresh each and every time. One example would be to mix (4) tablespoons of cottage cheese to (2) tablespoons of flax oil, consumed twice daily or more depending on the severity of the health condition one is attempting to address. One should probably start slowly with the oil, maybe just once a day and work their way up letting the body adjust to the protocol. The oil and the cottage cheese must be thoroughly mixed at a low speed, using an Immersion Blender, blending until a creamy texture with no standing oil is achieved. Dr. Budwig pointed out that people who are suffering from chronic or terminal disease should work themselves up to consuming 4 �C 8 Tbs of the oil daily. Usually, the higher limits 6-8 Tbsp were for people with cancer. She stated people with liver or pancreatic cancer etc, may have to work up very slowly with the oil and possibly only start with 1 teaspoon at a time giving their body time to adjust. Dr. Budwig pointed out that cancer patients once starting the protocol and getting it under control must continue with a maintenance dose to prevent reoccurrence. 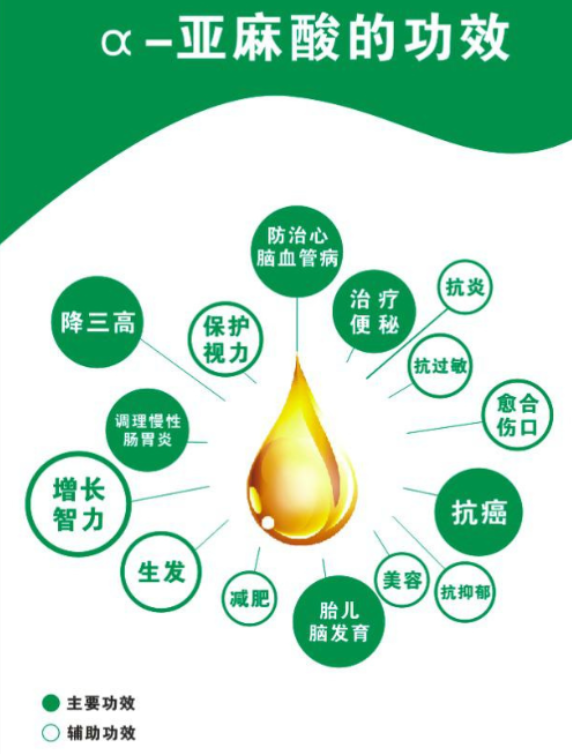 A maintenance dose is considered (1) Tbsp of the oil per 100 pounds of body weight. The Budwig Diet takes time to work and in the event of cancer, tumors, etc may take 3-6 months to see results. Many other health issues may respond much faster. Dairy is an important component in Dr. Budwig's Oil-Protein Diet. Because good substitutes are hard to find, it is worthwhile for those who are lactose intolerant to try different ways of tolerating dairy. Use goat's milk instead of cow's milk products. Take the enzyme Lactase with quark or cottage cheese.